Kitchen Cabinet Refacing is the perfect solution for homeowners that are satisfied with their current kitchen layout but want to upgrade their existing cabinets. Professional installers remove all of your existing door and drawer fronts, drawer boxes and hardware, leaving only the cabinet frames intact. 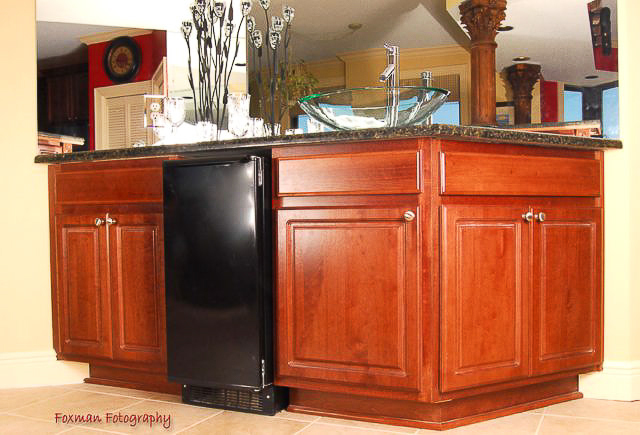 Your selection of brand new cabinet doors and drawer fronts are installed directly over the existing cabinet frame. Best of all, Cabinet Refacing is an affordable kitchen makeover that delivers stunning results in just a few days (compared to a full remodel that could take months to complete). Don't Replace It, Reface It!